Buddha Seed Bank is a marijuana seedbank especialized in breeding cannabis strains with quick flowering. 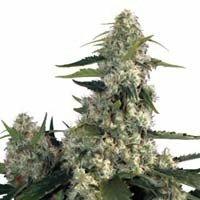 Buddha Seeds is considered a reference seedbank thanks to autoflowering strains like White Dwarf, Syrup, Deimos or Magnum, that have reached a guarantee level for autoflowering growers. 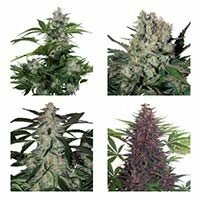 Buddha Seeds team also offers some non-autoflowering strains with quick flowering, able to be harvested in less than 8-9 weeks and even some that could be harvested in 7 weeks of flowering. 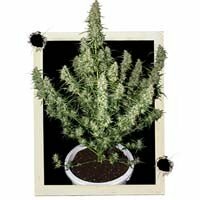 Magnum marijuana strain is probably the best yielder from all autoflowering strains available. Magnum autoflowering seeds generate plants able to produce up to 140 grams per plant, with a size of 1,4m. 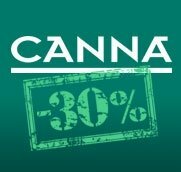 Magnum is the most recommended autoflowering strain at SantYerbasi, due to its yields, in any grower hands, and the quality, and quantity of flowers. Kraken, by Buddha Seeds seedbank, is the latest non-autoflowering strain, added to this seedbank's seed catalogue. 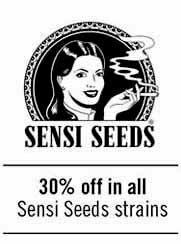 Its main characteristics are a strong effect, and high yields of flowers, in a short period of time. This characteristics makes from Kraken, one of the available seeds with better yields per squared foot indoors, and one of the best yields per plant outdoors. All growers seeking for a strong strain, or heavy yields, should give Kraken a chance to convince them.